CALLING JMU CLASS OF 2019! Even though Hannah is working at UVA now, Anthony is available for senior sessions starting in April - and glitter is still included! There are options for individual or group sessions, and sessions are on a first come, first served basis. Spots are limited, so be sure to book your spot while it's still available! 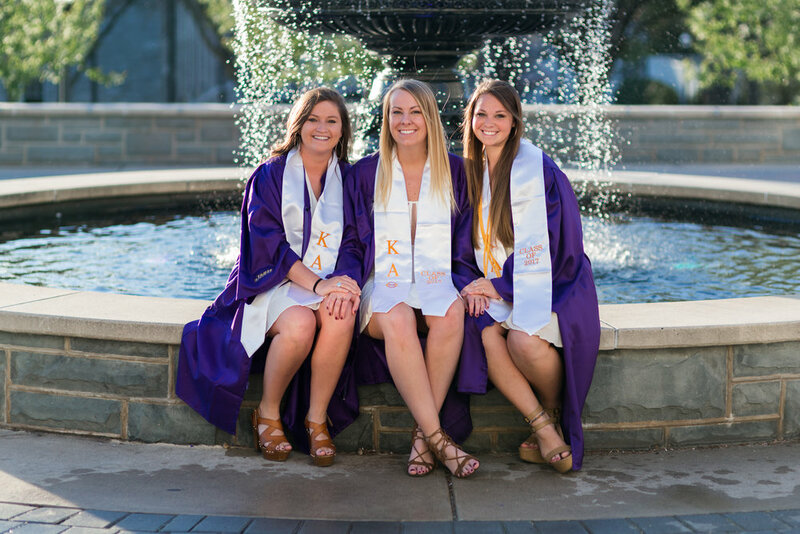 Check out some of my favorite JMU seniors of 2018 here! Get those photos your mom keeps bugging you about - and have some for yourself as well! Individual sessions are 60 minutes long and cost $75. You are guaranteed to receive 20+ fully edited digital images in an online gallery within 7 days of your session. All photos come with a print release, meaning you can order prints from anywhere! More friends = more fun! Group sessions are 60 minutes long and cost $50 per person. Your group is guaranteed to receive 30+ fully edited digital images in an online gallery within 7 days of your session. All photos come with a print release, meaning you can order prints from anywhere! READY TO BOOK? SEND US A MESSAGE HERE!